Services Sioux City Yamaha/Can-Am, Inc. In addition to a big selection of new and pre-owned Can-Am & Yamaha units, we have a great Parts Department. We have plenty of parts in stock and if we don't have it, we can get it here quick. 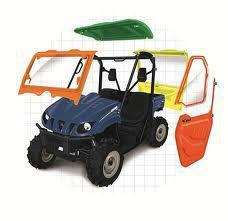 We stock genuine Can-Am & Yamaha parts and also work with multiple aftermarket companies. You're not limited there either; we can even help find parts for your Polaris, Arctic Cat, Honda, and more! So stop by and check out all of our parts, accessories, and apparel displayed on our showroom floor. We have two convenient locations to serve our customers better. We have the knowledge and experience to fix or modify your ride. Our Certified BRP & Yamaha Technicians specialize in motorcycles, ATVs, snowmobiles, scooters, personal watercraft, and even golf cars. So don't get frustrated with your equipment, give us a call and set up an appointment today.